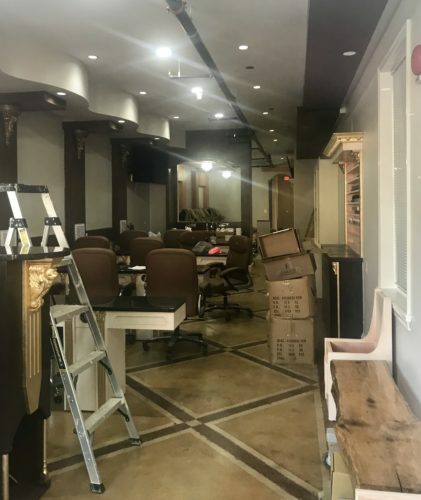 Eastern Market Nails, the long-standing beauty salon above the Forecast, at 218 7th Street SE, is re-opening this Sunday, September 16. Tina and her business partner Vivian are currently busy putting the finishing touches on their new storefront, located at 214 7th Street SE, in the former Berkshire Hathaway Pen Fed building. Vivian tells me that everything in the new space is completely new, from the tables to the spa chairs. She was busy arranging a whole chest of nail colors that dominates the southern side of the space. Swing by on Sunday starting at 11 a.m. to get your nails done. There will be goodies for the first customers who come through the door. Congratulations on your new location, Eastern Market Nails!